According to the manifesto, this can be achieved in around three decades by moving away from industries like mining and oil extraction and instead focusing on environmentally-friendly technology. "This is a document that was written collectively," Klein said, flanked by national indigenous Anglican bishop Mark MacDonald and environmentalist and broadcaster David Suzuki. Actor Tantoo Cardinal, author Joseph Boyden and newly crowned Mrs.Universe Ashley Callingbull were also at the press conference. Cree activist, actor Tantoo Cardinal supports Leap Manifesto which calls on Canada to honour indigenous rights, address climate change. 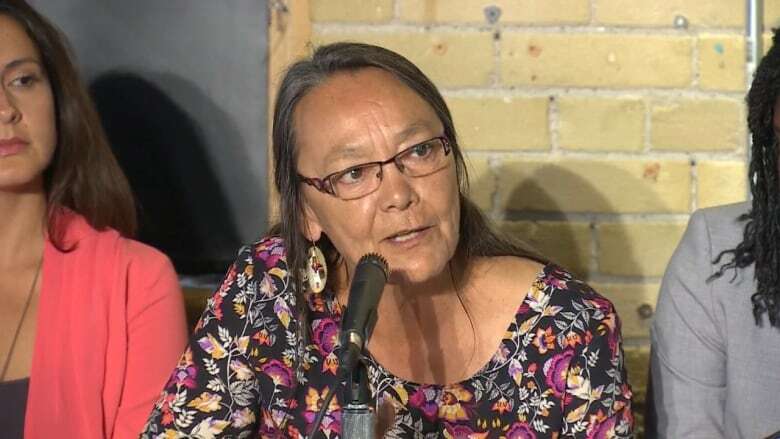 (CBC)"This is an invitation to be part of something that really makes sense," says actor Tantoo Cardinal, who says the manifesto is rooted in indigenous values of caring for the earth. The manifesto also calls for universal child-care and a "universal basic annual income" as well as an end to trade deals, which are blamed for hurting local economies. The manifesto has been translated into eight languages, including Cree and Inuktitut. 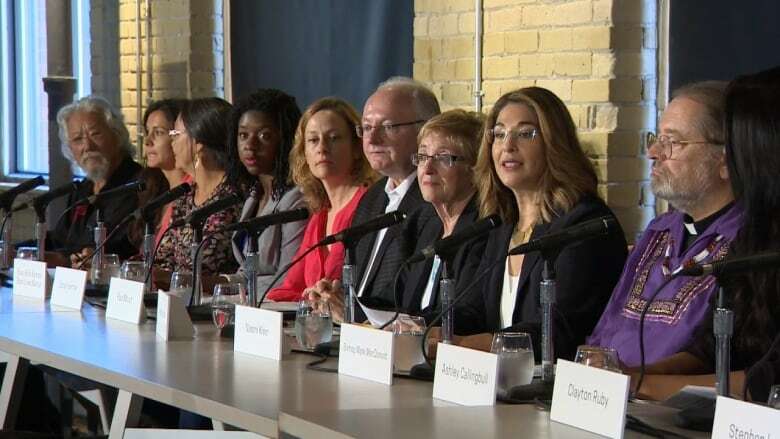 Klein says the manifesto is addressed to Canadians and the current government, while not supporting any one political party — though she hopes a new government will use the manifesto as a guide. Newly crowned Mrs. Universe Ashley Callingbull is one of many celebrities who've signed manifesto calling for change to Canada's environmental policies. (CBC)While the press conference included around a dozen people, a long list of celebrities have signed the manifesto, including actors Donald Sutherland, Ellen Page and Rachel MacAdams as well as musicians Leonard Cohen, Bruce Cockburn and Neil Young. It also has the support of authors, politicians and indigenous leaders like Haida carver Guujaaw.